Virtual Labs allow students to practice and better learn the science and engineering behind the experiments that they are required to perform. Virtual Labs also allows the sharing of costly equipment across the country, and in very rural areas, students will be able to perform experiments that they would not otherwise be able to access. Nearly 300 department heads, faculty, and staff representing 152 institutions have been trained across India. Over 20 Nodal Centres have been created, institutions who have expressed their interest to champion Virtual Labs in their organisations and geographical areas. Student interest in Virtual Labs has also been enthusiastic. 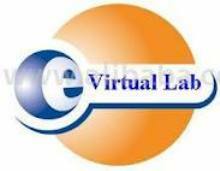 The Virtual Labs site (vlab.co.in) has had 233,570 site visits and 1,034,443 page visits in just the last 6 months. There are over 4500 registered users from 134 countries and handles around 100GB of traffic per month with visitors from India, United States, Malaysia, Philippines, United Kingdom, Australia, Canada, Germany, Pakistan and so on.